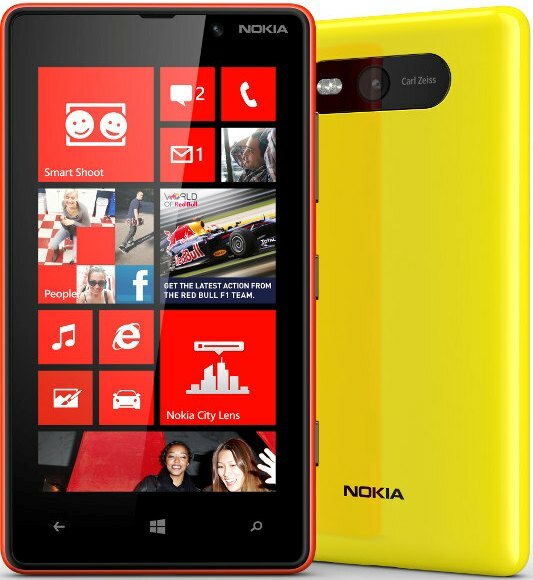 Nokia Lumia 820 features 4.3-inch AMOLED capacitive touchscreen ClearBlack display with 480 x 800 pixel resolutions. It is powered by 1.5 GHz Dual-core Qualcomm MSM8960 Snapdragon processor with Adreno 225 GPU. The Lumia 820 equips 1GB RAM and runs on Windows Phone 8 OS. It comes with 8GB of storage which can be expandable up to 32GB Via. microSD card. Nokia Lumia 820 sports 8MP rear camera with autofocus, dual LED flash and Carl Zeiss Tessar lens-F/2.2. It has a VGA front-facing web camera. Connectivity options of Lumia 820 includes 4G, 3G, 2G, Wi-Fi 802.11 a/b/g/n, Wi-Fi Direct, Bluetooth v3.1 with A2DP, EDR, microUSB v2.0, EDGE, GPRS, NFC, GPS with A-GPS support and GLONASS. Sensor options includes Accelerometer, proximity, compass. Color Options includes Black, Gray, Red, Yellow, White, Blue, Violet. It has a dimension of 123.8 x 68.5 x 9.9mm and weighs 160gms. Nokia Lumia 820 is equipped with a standard Li-Ion 1650mAh battery which claims a back up of upto 14Hrs(2G), 8Hrs(3G) Talktime and upto 330Hrs Standby. It has 55Hrs audio playback capability. 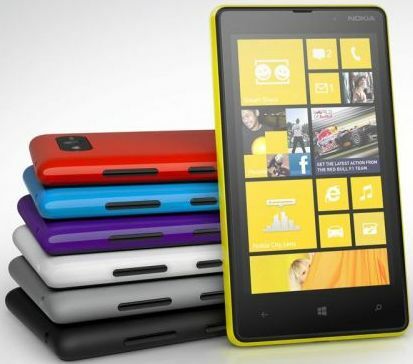 The Nokia Lumia 820 will be availabile once Windows Phone 8 becomes available and currently no news about it's price. Tags:Nokia Lumia 820, Nokia Lumia 820 features, Nokia Lumia 820 specifications, Nokia Lumia 820 review, Nokia Lumia 820 details, Nokia Lumia 820 availability, Nokia Lumia 820 specs, Nokia Lumia 820 images, Nokia Lumia 820 pics, Nokia Lumia 820 pictures, Nokia Lumia 820 price.